Clementine is in a rut. Overshadowed by her indomitable female relatives – her stern, politically correct mother, Claude, her foulmouthed racist grandmother Mac, and her sassy, brassy aunt Maddy — she spends her timing making props for the Drama school (for a pittance) and for her lover Kurt’s art Happenings (for free). Months after graduation, she is still stuck in the Soup Kitchen which she shares gladly with her housemate, Angus, and less gladly with a horde of free-loading ‘guests’. Even her friendship with Jack, her one-time drama teacher, is thrown into jeopardy when a male student accuses him of sexual harassment. When Clem returns early from a visit to her ailing but outrageous grandmother and discovers Kurt and one of his more dangerous disciples ‘locked in earnest discussion, their bodies radiating lust’, she comes to the conclusion that the situation has to change. Homicide seems like a tempting option, but she opts instead for flight. 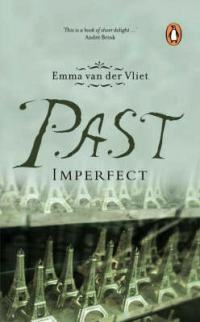 In a moment of bravado Clem books a plane ticket to Paris and accidentally embarks on a picaresque series of misadventures with unsuitable foreigners, which drives her to the brink of insanity and eventually makes her take stock of who she is and what she really wants out of life.